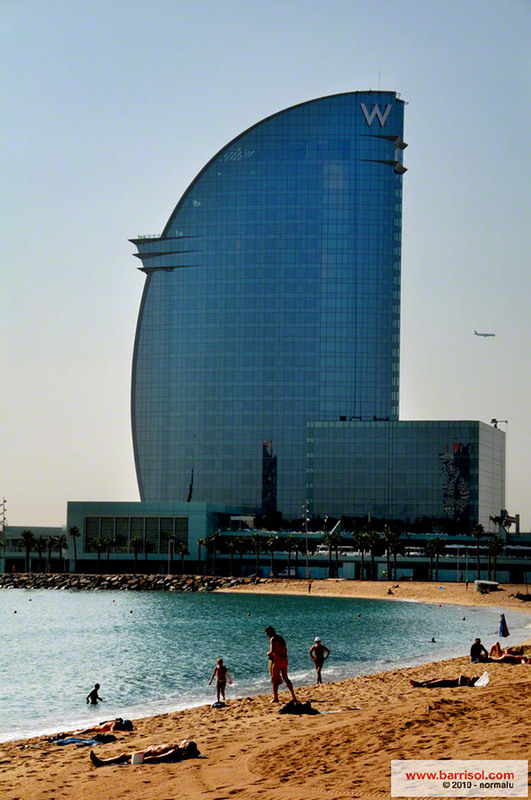 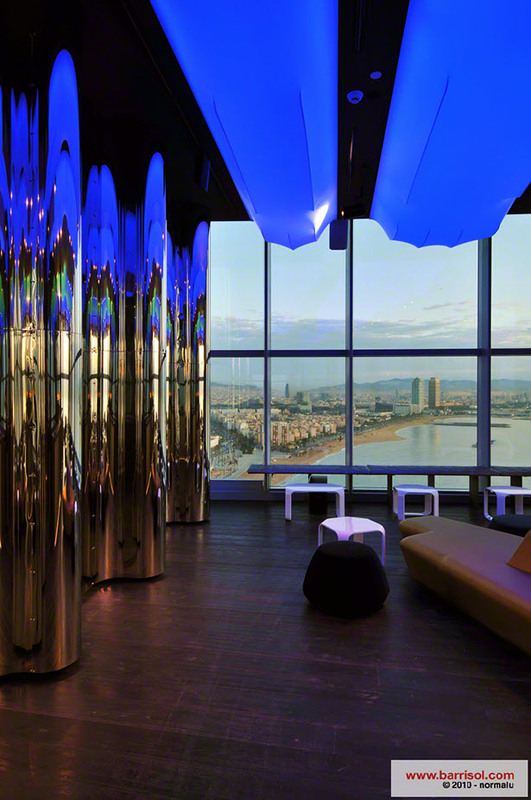 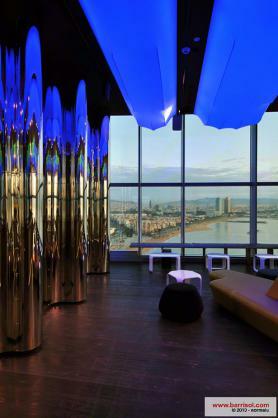 The new Hotel W of Barcelonia, designed by Ricardo Bofill, can be viewed from many miles off the coast. 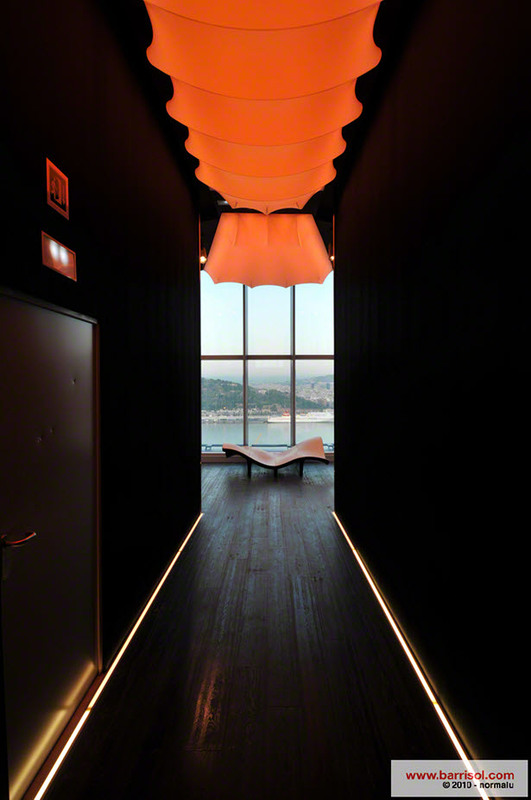 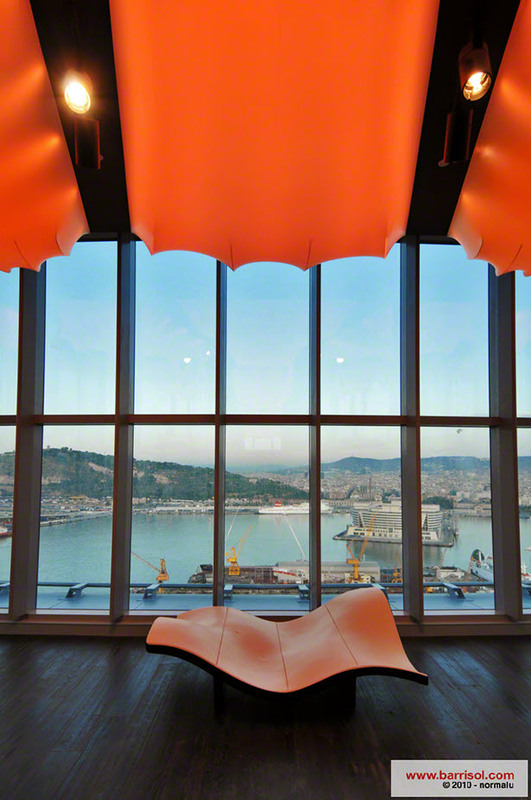 Symbol of the new harbor, its interior provides surprise and astonishement by using many lighting effects. 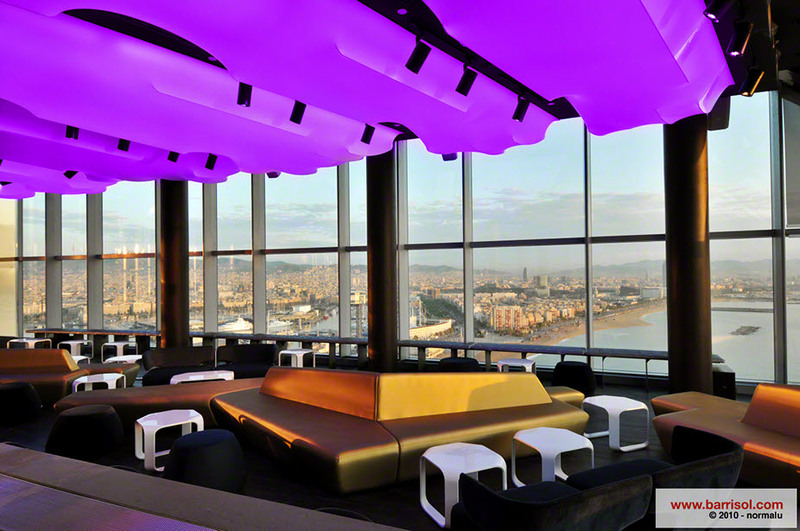 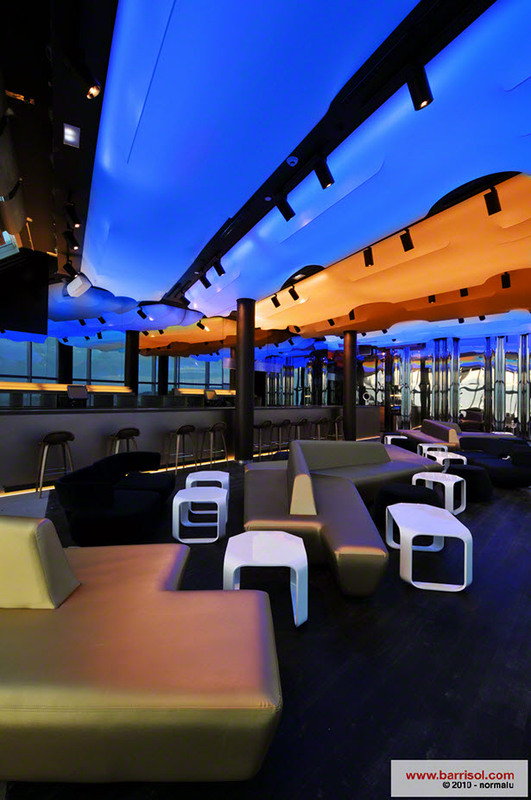 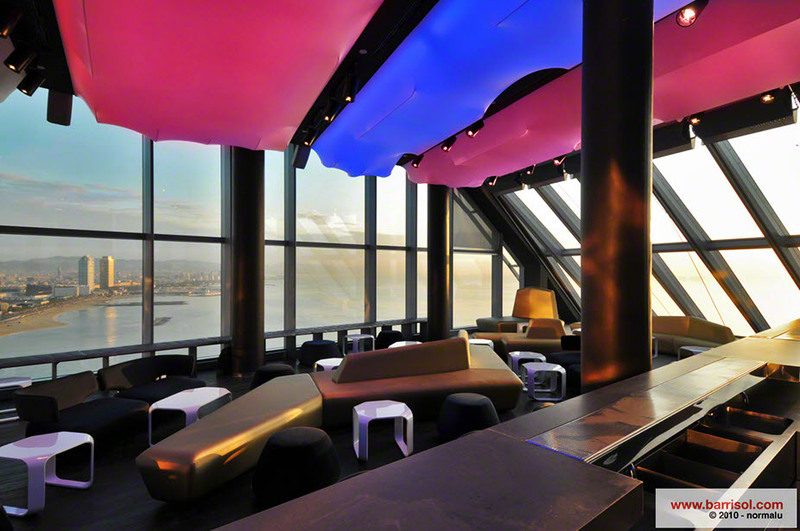 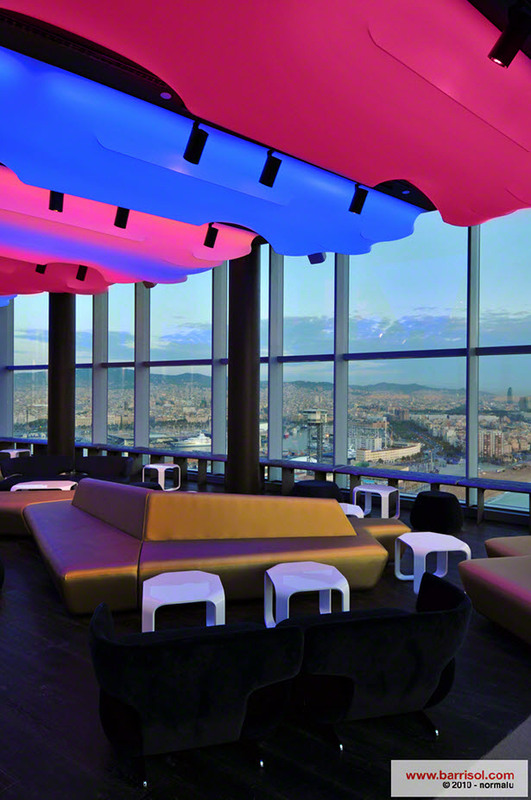 The bar « Eclipse », at the top of the building, is the meeting point of music fans until late at night and offers the best panorama on the city. The lift that bring you to the bar is relatively dark to preserve the surprise effect and the visual impact of the corridor and the lightings of the bar. 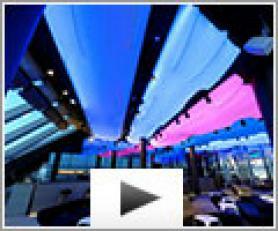 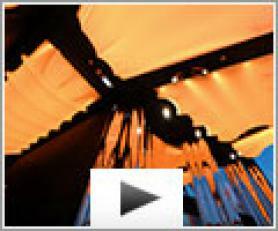 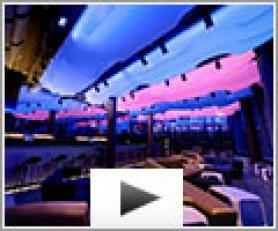 The Barrisol Lumiere Color stretched ceiling, thank to the lighting system with color change, creates a unique ambiance, modern and soft.